This is a quick painting about an idea we have for where the ninjas train. It needed to be close enough to the village to be convenient, but still relatively protected so a stray attack won’t destroy another building or bring whatever building they are inside down. So what better place than a quarry! 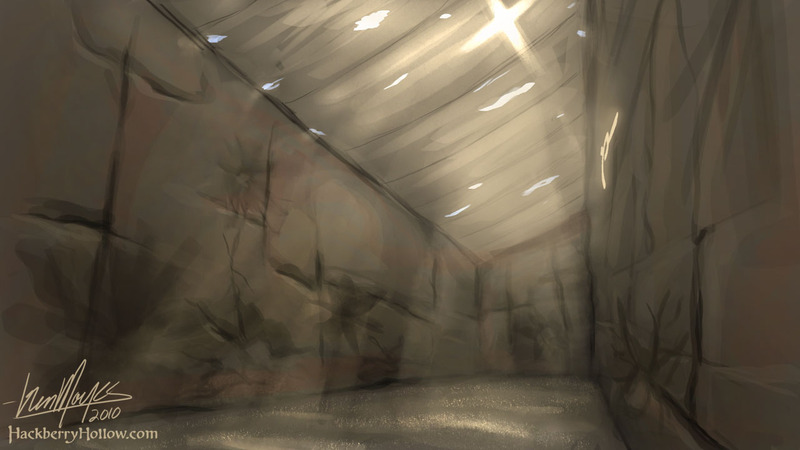 It’s underground and therefore cooler than out in the hot desert sun, has high sturdy walls, and it’s efficient; if you are going to be destroying walls it might as well be done in the quarry. We like the concept but I’m going to try out different designs (e.g., the quarry will probably be more irregularly shaped).